For about 114 days, Weslaco East middle linebacker Freddy Cardenas is in bliss. It’s the most wonderful time of the year — football season. A third of the calendar year is football season, but Cardenas is so dedicated to conditioning he might be ready for a playoff game during spring break. The Wildcats had only 10 regular season games and three playoff matchups, but for Cardenas, football is a seven-days-per-week obsession. The hard-hitting, quick-closing linebacker prides himself on being the most prepared athlete on the field, and that helped him accumulate 99 solo tackles and 174 in total during his junior season to earn The Monitor’s All-Area Defensive Player of the Year honors. 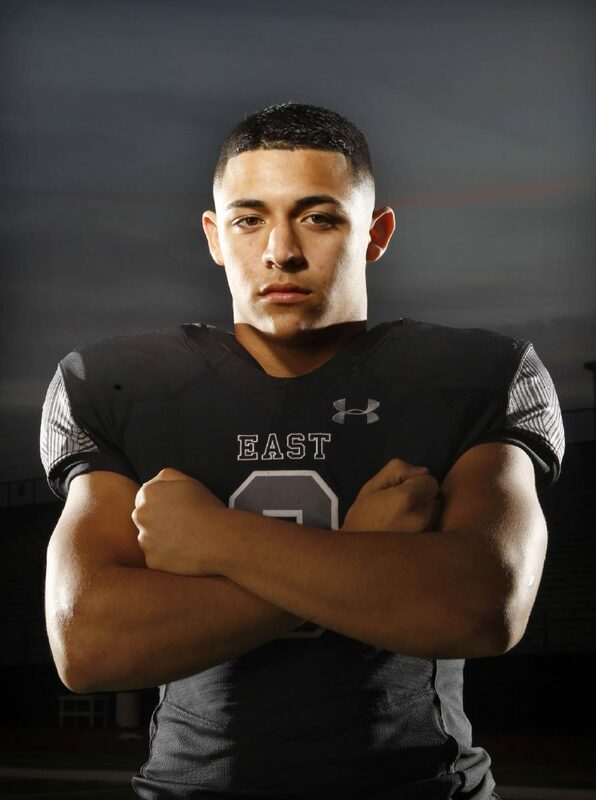 All-Area Football Defensive Player of the Year linebacker Freddy Cardenas of Weslaco East. Weslaco East's Freddy Cardenas runs after catching an interception as Laredo Alexander's Robert Ayala chases him down during the third quarter of their Class 6A area playoff game Friday, November 24, 2017, at Laredo Student Activity Complex in Laredo. 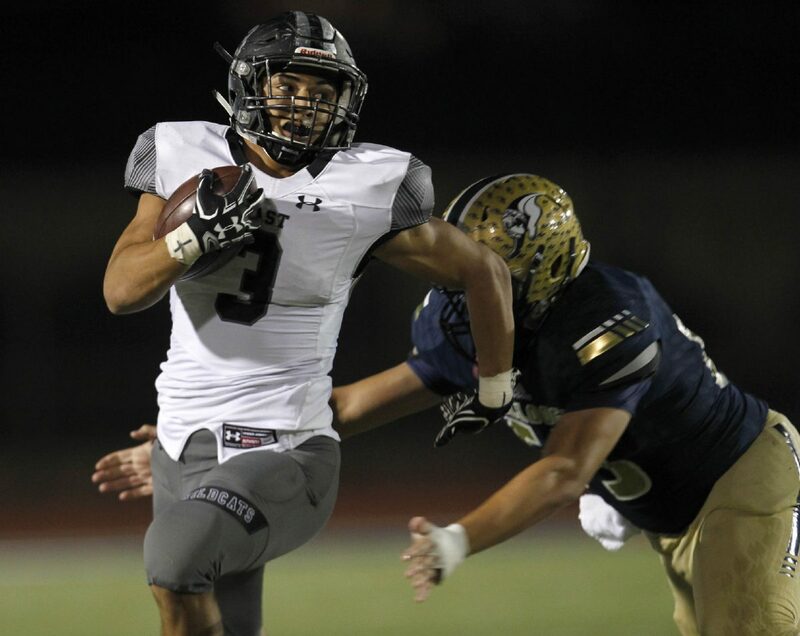 From the onset of the season in September, the Wildcats have looked like a close, cohesive group in most of their outings, and Cardenas helped the improved front seven wreak havoc on opposing teams. The defensive line turned up the heat in the pass rush, improving from one sack in 2016 to 28 in 2017. Co-defensive coordinator Rene Guzman says he stresses from summer workouts on the importance of swarming to the football. The junior linebacker plays a loud game on the field, and it’s hard to miss No. 3 in black and white running to the ball, but he’s a soft-spoken player. According to Cardenas, talk is cheap. Intensity is evident in all he does, despite the praise and pats on the back the Wildcats received for turning in an impressive season in the face of adversity. East lost top offensive talents Roy Pedraza, Freddy Gonzales and J.C. Vargas to injury in consecutive games. Cardenas stepped up on defense in big moments for East, racking up more than 15 tackles against San Benito, Harlingen South and Brownsville Hanna. He was even called on for a receiving touchdown in the playoff-clinching win over South. When the playoffs began, he rose to the occasion to the tune of 20 tackles in both the bi-district- and area-round wins. 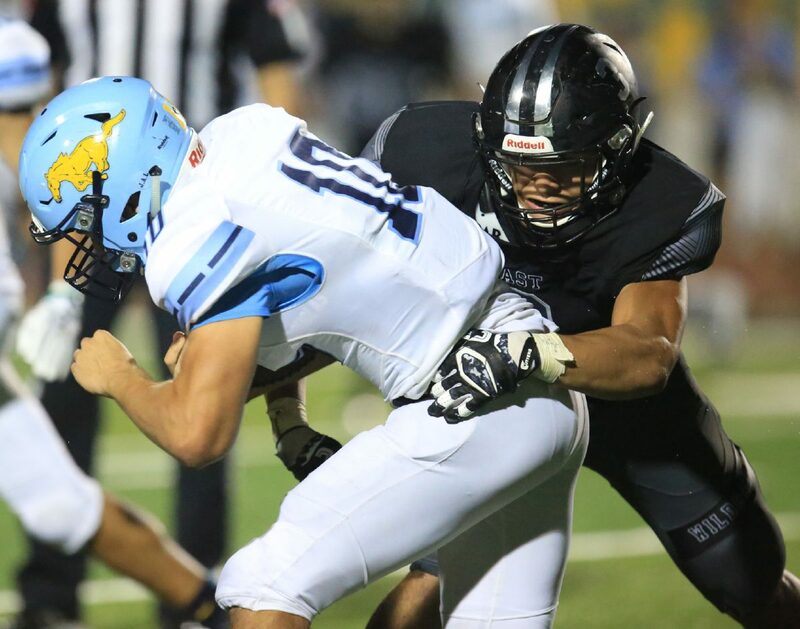 In East’s final game of the season, against Cibolo Steele, Cardenas racked up 10 tackles and caused a fumble against a potent offense. Two of his four forced turnovers came in the postseason, including an interception that helped seal the team’s area-round win over Laredo Alexander. Linebackers coach and co-defensive coordinator Mike Gonzales says what puts Cardenas over the edge as a dominant player is his work off the field. Gonzales has watched Cardenas’ development and growth. The staff has another set of eyes during film sessions because of Cardenas’ attention to detail. The Wildcats will be going through transition on the offensive side of the ball next season, replacing their star running back and quarterback. On defense, Cardenas will lead an experienced group of returners.